It’s extremely common for aging seniors to express a desire to their family that they want to age in place, which means staying in their own home for as long as possible. Loneliness can make aging in place extremely difficult, however. A Little Time Alone Can Turn into a Lot of Time Alone. 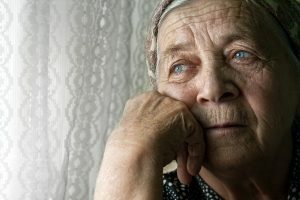 When she first decides to age in place, your elderly family member might find that she’s spending some time alone, possibly for the first time ever. She might be fine with this, especially as she continues to experience good health and stick to a schedule. But small changes, friends moving away or diminishing health, can cause her to back away from some of those activities. That can turn a little bit of time alone into a lot of time alone. The biggest part of the trend toward loneliness rather than mere alone time is that your senior’s needs change dramatically. She may take a fall at home, for instance, that seems small on the surface but turns into larger injuries. Your senior may have other ways in which her needs change, too. She may find that friends are moving farther away or that she’s unable to drive any longer. These changes make socializing as normal difficult. Being lonely is a stress on the psyche that eventually becomes a stress on the body itself. Your elderly family member might experience anxiety attacks, digestive issues, or headaches. Sleeping problems can manifest because of loneliness. A host of other physical problems can be traced back to psychological and emotional causes. Understand the Problem, Then Find Solutions. Once you understand what the problem is for your aging adult, you can start to look for solutions that can help. The problem for many family caregivers is that they want to be there physically more often for their aging adult, but other responsibilities like their full-time job make that difficult. One of the solutions that you might put into place is hiring senior care providers who not only offer companionship, but who can take over tasks such as driving that might have led to your senior’s loneliness in the first place. It’s possible for your elderly family member to continue to age in place, but you might need to make some changes in order for that to happen. Some of those changes may be smaller than you think and yet yield big results for your elderly family member.